They say it’s the unofficial beginning of summer. And for some– gardens, pools and exquisite gardens. That is— if one has the land to accommodate all of that. Alas, I am in an apartment. And before that, I lived in a Townhouse. We had a postage-stamp-sized piece of land with one tree in the front “yard.” The back “yard” had a not-very-big deck and then a big heavily wooded hill. Everything I stuck in the ground with the hopes of it bearing beautiful blooms–died. Most years, I had some flowers in pots, but that was it. I have to admit that even if I had a large property, I’m not sure that I would really enjoy gardening that much. I know that some of you do and I admire that. Maybe it stems from being given the arduous chore of weeding, as a child. I’m not sure. But what I am sure of is that I adore looking at a beautifully landscaped home and garden. Well, who doesn’t? Years ago in our charming northern Westchester County town, lived a very large, very ugly, new-construction-post-modern home. The home looked sorely out-of-place with the rest of the homes in the area. It was on our preferred route to another charming town, in the next state (Connecticut) that we would frequently visit. There was a very nice playground that we would take the kids to when they were of that age. Every time we drove past the ugly home, I would let out a predictably loud UGH! HIDEOUS HOUSE. JUST HORRID! HOW COULD THEY??? Then, when the boys were passed that age, we stopped going that route. A few years later, I had a client on that route. Then, one day, I remembered. I hadn’t recalled seeing it recently. Did they level it and start over? The next time I drove past, I made a point to look at the house and while not my taste, I didn’t totally hate it. You already know why I’m going to say. The home was now beautifully landscaped and that had created a far more harmonious composition. I guess landscaping is to a house what hair and makeup is to a woman! Today, there will be some landscaping but the focus is on exquisite gardens. They will range from very simple to elegantly grand and luscious. I love all different types of gardens, but my favorites have an architectural look and symmetry. But that doesn’t mean that I don’t also love a more wild English garden. 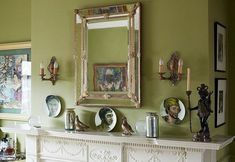 And while I do love color–sometimes, there is nothing more thrilling IMO than many shades of green, white and chartreuse. And a little blue is always refreshing. Some of these gardens will have homes attached and some are in a more park-like setting. Some are European and some are in the US. Wherever they are… I hope that after viewing this post, that you will feel transported and rejuvenated. And with that, please enjoy 20 of the most magical, exquisite gardens and landscaping. 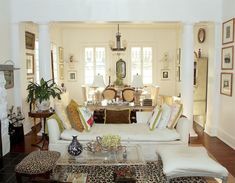 Let’s begin gently with a quiet, tranquil space which once belonged to the incredible interior designer, John Saladino. The two images above aren’t quite as clear as I’d like and believe me I looked, but came up dry. However, I had to include this one because I LURV it; the house too! White Lilacs! Imagine how wonderful this smells! Imagine how delicious that lavender scent is! It’s raining Wisteria – Magical! The Sundial Garden at Wollerton Old Hall Garden, Shropshire, photographed early in the morning, in July by Joe Wainright. If you love beautiful gardens, please check out his website. His photography is gorgeous! 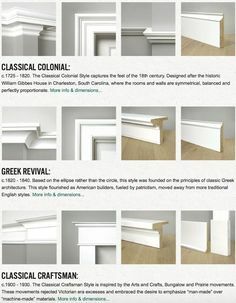 Okay, I was seduced by that incredible moulding! Wonderful home! And this is my pic of a gorgeous tree just a hundred feet or so from where I live. It’s a black locust at peak bloom. I know, because the next day, there were thousands of petals on the ground. But the sweet smell was intoxicating and then some! An old English stone home and climbing roses. It really doesn’t get any better than that. I hope you enjoyed these gardens! Which ones were your favorites? A couple of important notes before I sign off. 99.999% of you do not have to read this part because it’s not in you to be unkind. However, I am sad to say that I have had to turn on comment moderation. While I love hearing from you, occasionally, there are one or two who feel that it’s okay to say things in the comments which are designed to malign, embarrass or make me look like I’m a clueless idiot. I definitely am a clueless idiot at times, but I’m also very sensitive as most of us are. It is absolutely fine if you don’t like me, my writing, my anything. If so, please move on and go about your business. The blog is elective reading. There’s a deadline. Monday, the 30th of May at 11:59:59PM, the chance to order the paint collection + get the laurel’s rolodex at a discount will expire. This is only for people who wish to purchase both at the same time. There is no code for this option, you will be asked if you would like to purchase a rolodex at a discount when you go to purchase the paint collection. Those who already own a rolodex are privy to a special discount code which is also expiring on Monday at 11:59:59PM. If you would like to purchase a paint collection, and no longer have the code, please contact me and I’ll give it to you. I’m very grateful to all of you. This blog has enriched my life as I hope that it has enriched yours. Please have a happy, safe holiday weekend! PS: I’m not done with gardens yet. Please stay tuned for some far more petite and/or city gardens and more container gardens. I’ve seen a lot of websites through Pinterest (and I have seen a lot over the years) during my home renovation journey (which is, unfortunately, still ongoing) and until today, I never felt compelled to post on someone’s blog about their site. But your blog is different…I am really enjoying your choice of topics, your fun and witty writing style, the beautiful pictures you find and share with your readers, and the extensive knowledge you impart to others. Your site is truly heads and shoulders above the rest. Hi, csn noonger open your articles on my phone…. I gave tapped everything and I see the title, the picture and then the comments below but the actual article won’t open. Which is too bad as my guilty pleasure is reading your blog in bed while DH makes the coffee (a domestic battle worth with being every time). YIKES! Times a hundred! And I only slept two hours last night. But I put in an emergency support ticket to the powers that be in that department. 🙁 I noticed this yesterday evening, not sure if it was occurring before that- I don’t remember when in the last few days I read an older post. It works fine on my iPad and macbook, so it’s just my iPhone, and I don’t have any adblocker running or stuff like that. No, it’s not just you. Actually I sent you an email but I keep forgetting the deal. I get emails of all comments from WORDPRESS, but there’s no such person. LOL so when I hit send it bounces back. Silly system. And it wasn’t always like that but that issue is def low man on the totem pole. It’s not your phone or anything you’re doing. Nosireeee, it’s me. All me. Apparently, I was a remorseless felon in my previous life because it’s just one piece of bad news after another with this site. It’s gotten to the point where I just have to laugh because it’s gotten way past the point of absurd. Oh well… it’s not as bad as last week, when people tried to subscribe and got notification that if they tried to do so, Isis was going to jump down their internet line and rip out their ____ You know… one of those scary messages that the site is NOT SECURE. Which is so not true, it’s just not funny. It’s locked up tighter than the pentagon! Then, my mail chimp wasn’t working. This is on the heels of all of the other drama I’ve had to endure the last 3+ weeks. The MOBULAR lol version of my site because of GOOGS and his need for it to be what he deems to be “friendly” is controlled by a separate plugin. It was working beautifully and sooooo much better than my theme’s mobile version for a lot of reasons. Well… thanks for listening! We’ll get it back up ASAP! Ugh 😂 No hint of a lie I felt bad telling you about the problem, I know there’s been some sort of evil internet curse working its way through your site. No, the email was some snafu with mail chimp if people tried to subscribe with the box where they get the free paint guide. But we worked that one out. I can relate to all of that as well. I just tried to purchase your paint color collection (thought the deadline was 5/31). It gave me the option to buy it for $74, but then the PayPal link didn’t work. I will try again later – hope I can still get it! I’m new to your website. I enjoy it very much so far. Your “Couple of Important Notes” brought tears to my eyes. I’m so sorry if people are cruel to you, so sorry. I want you to know how much I appreciate your website. I read everything you post. I know just about nothing when it comes to interior design. But I don’t want to live in an ugly house. Thank you so much for educating people like me, who want to surround themselves with beauty and need good, sound advice. You are an answer to prayer. Truly. You have a lovely, kind spirit, and I feel like I’m communicating with a friend when I read your blog. I just wanted you to know what a help you are. Laurel, Love this post on gardens and your Blog! Just purchased the paint collection and can’t wait to dig in and savor each page. So appreciate your wisdom and frank conversations regarding the world of design. I’ve always had beautiful gardens in my home but I must admit that I’m not a fan of gardening either. It’s definitely not my forte but I do love the visual aspect of it, so I just bite the bullet and do what I have to do at the beginning of the season and hope for the best. Thank you for those beautiful photos, photos are what gives me inspiration. blog! Keep up your brilliant and talented posts! Please, please save your heart. Focus on us who love your elegant and exquisite site. I’d bet there are more of us then the hateful ones. Your are an artist. So, There. There are more of you than the nasties by a ridiculous number. First off, I learned early in my tiny career as a blogger that we have to moderate comments. It stops the trolls, and there are always trolls. And spammers. Don’t read more than one extra word… just hit the delete button and move on. 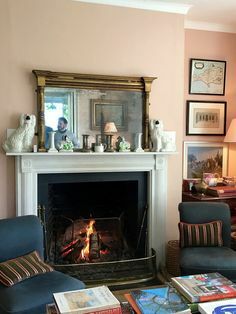 I always ask myself what I can learn from the houses and gardens I love, and I can always count on seeing more, and reaching new heights, on your blog. “There are too many nice plants in your garden!” said no one, ever. Another rule seems to be: think about colors carefully. These gardens are limited in their colors and the effect is sophisticated. Since my skills are also limited, this seems like a safe but beautiful bet for getting things right. Can’t go wrong with shades of green. White and purple and blue speak to me, maybe with touches of pink, red OR fuchsia, but just one, not two or three. I have been hoping to have more than a few window boxes or set of city steps as a garden spot for 35 years, and I haven’t even had those in recent years. I have not given up hope. When we finally move to a place with some real outdoor space, I will pack in the pots and plantings densely. Thank you so much for summation. It’s really funny, but as I was putting it together, I think I decided to talk a little less than usual and let the photos speak for themselves, but it’s really great to know that their message was apparent to others. I very much agree about limiting the colors–unless nature did it or it looks like nature did it. The latter is probably more difficult to achieve. Several years ago and this is probably what did me in, I went to the nursery… I found two gorgeous hydrangea plants. I bought them and then cajoled my wasband into planting them. Laurel, I love your blog entries – they are well-written, contain beautiful photos and give lots of great info. Keep it up! I purchased your book to give as a gift and she loved it! I love your explanation so much! I love nurseries and gardens too. Very much. I think it’s the work involved. However, since I live in an apartment with zero outdoor space, it’s a moot point. I used to think that people with beautiful gardens couldn’t possibly have a care in the world. I LOVE your writing style and sense of humor. Not to mention all the interior design info you share. Yours is one of only two blogs that I follow. Whenever I receive an alert that you have a new post I can’t wait to read it. With that said I would like to say how sorry I am that people have been nasty to you. I’m not sure why people are so free to be hateful and nasty. I do however know that if people wonder why kids at school are such bullies they needn’t look further than themselves to find the reason why. I agree, April! I wish Laurel was my neighbor, so funny, talented and down to earth. Look forward to every post. Awww… that is so sweet! I really appreciate that! My mom taught me that if I have nothing nice to say to someone, say nothing. However, she didn’t tell me what to do if someone craps on me! It’s difficult for me to say nothing because I’m feeling like I need to defend myself. Makes me want to go out and plant dozens more hydrangeas! In my southern garden, all the whites are now blooming—hydrangeas, magnolias, gardenias, Confederate jasmine, and the tall Indian Pipe Nicotiana that is so fragrant. My favorite time.